A math lab is a classroom or designated space to teach math lessons in an interactive and engaging way. Setting up a math lab will require a certain level of expertise. You'll need to have appropriate equipment to enable students to learn and improve their mathematical abilities. In a school, education center or university, setting up a math lab in preparation for lessons is essential so that the students and professor have the tools necessary to work through the course material. Prepare the lab by removing any unnecessary books, irrelevant posters and clutter from the area. This is to ensure that the classroom has minimal distractions so that the students can concentrate. Extra paraphernalia, such as posters, TV screens or unrelated textbooks do not have a role in the math lab. Clear the whiteboard, and tidy the desks. Place enough tables and chairs for the expected number of students in the room. Spread them out evenly, allowing room for the students to work and turn to face the whiteboard for direction during the lab class. Supply colored whiteboard markers and rubber next to the whiteboard for the professor. Consult the professor by asking what math equipment is needed, and source the correct tools in preparation. Statistical calculators, rulers, protractors or graph paper might be needed, but this will vary according to the age of the students and the math discipline. 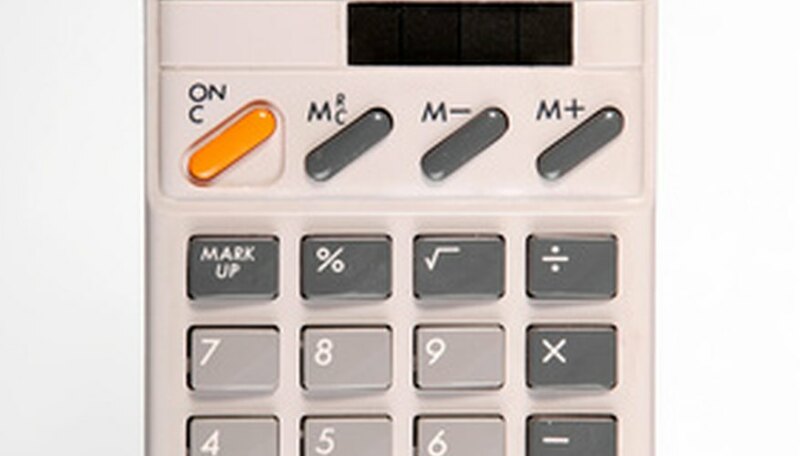 Check that the tools are functional -- for example, batteries are working in the calculators and pencils are sharpened. Store the equipment in the storage area for easy access throughout the class, or place in the center of the tables for the students to share. Make sure there is enough equipment for the number of pupils in attendance. Set up experiments for the professor and students in order to save time during the lesson. A math lab is a place for demonstrating math in an engaging way, so speak to the professor for ideas. For example, use a ramp and toy car to show how the angle of the slope affects speed. Demonstrations such as this give help the students achieve understanding of the lessons. Print off documents that will be needed during the class, and leave them on the professor's desk for distribution. This means that the math lab will run smoothly and the professor won't be delayed by gathering paperwork throughout the session. KC Math Lab: How to Set Up Lab? Pictorial Math: A Math-Lab in your school? Jones, Philippa. "How to Set Up a Math Lab." Sciencing, https://sciencing.com/set-up-math-lab-7462475.html. 24 April 2017.